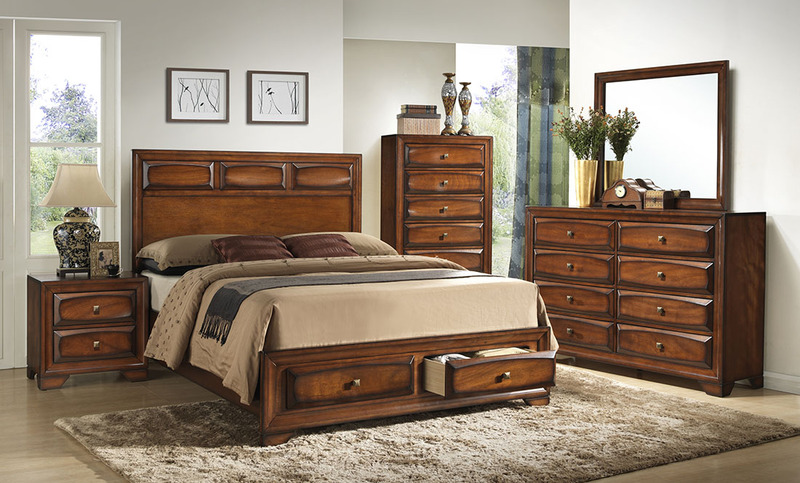 Indulge yourself with the luxury of the antique oak finish of the Astoria Collection. 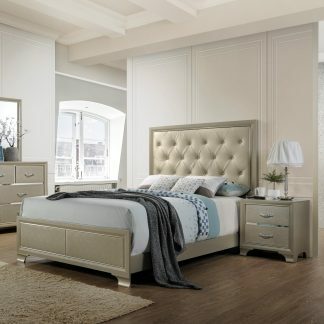 Designed with elegant and detailed hand-crafted pieces, this storage bed is constructed of solid and engineered hardwood. All drawers feature beveled edges for a unique and refined appearance that is complemented with brass metal hardware. 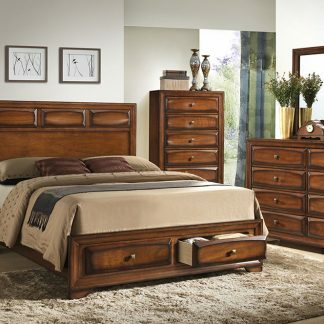 The dresser has 8 drawers to ensure you have plenty of space to store bedroom essentials. The bed frame features two drawers for easy, under bed storage. 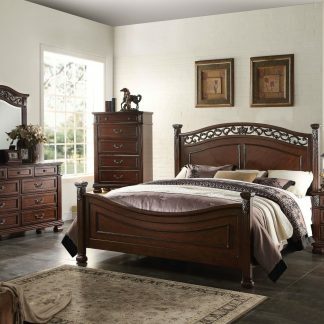 The set includes a King or Queen bed frame, dresser and mirror. Purchase the chest and get a free nightstand!